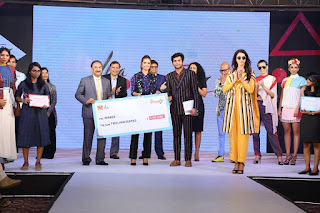 Mumbai: 14th Dec 2017: Liva Protégé is a unique talent hunt competition which gives young fashion designers an opportunity to showcase their talent to the fashion industry. This year, the scope of the competition gets bigger as the Liva Protégé 2017 winners will launch their collections exclusively on The Designer Boutique at Amazon.in and enjoy an easy access to millions of nationwide customers. The third edition of Liva Protégé received over 3,000 applications from across 190 institutes. Mr. Dilip Gaur, Business Director, Pulp and Fiber Business, Aditya Birla Group and Managing Director Grasim Industries said, “Liva Protégé is an excellent initiative which showcases young fashion designers to be mentored by renowned designers and gives them an opportunity to be industry ready”. Over 190 institutes participated in the 3rd edition of Liva Protégé Talent Hunt which had entries from across 50 cities with over 3000 students applying for the competition. In addition to the major metros, this year had participation from tier II cities like Ambala, Ludhiana, Kanpur amongst others. There were two rounds of short-listing the candidates. The students were divided in 6 zones and were allotted an ace designer as a mentor. 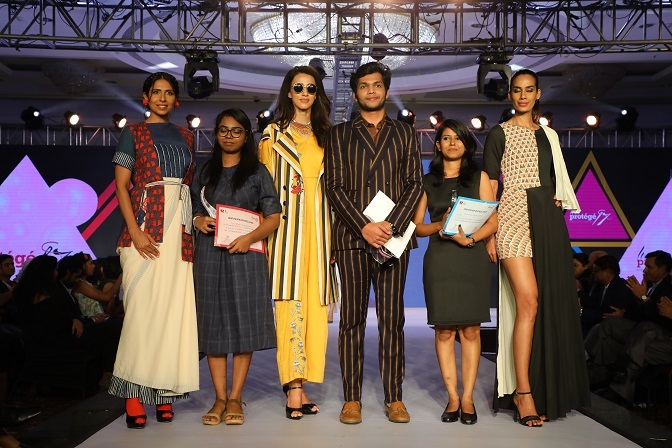 Nida Mahmood (Delhi), Pallavi Singhee (Kolkata), Anand Kabra (Hyderabad), Anshu Arora Sen(Bengaluru), Priyadarshini Rao(Mumbai) & Purvi Doshi(Ahmedabad) nurtured these finalists for the grand finale. Selection process: LIVA Protégé is a platform where aspirants have been chosen on designing capabilities. 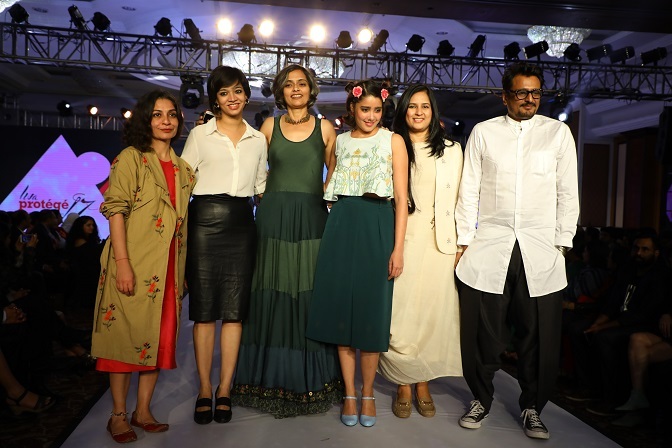 There have had multiple rounds of selection across three months long intensive program (inclusive of one on one presentations to mentors, and then selection to be based on aesthetics, design, fluidity and functionality of creations) post which the aspirants got a chance to brush up on their skills and be mentored by some of the biggest names in the fashion industry. The young designers had to showcase 5 evening looks designed by them at the finals who were judged by the eminent jury comprising of Bollywood’s fashionista and Miss India International 2007 Esha Gupta, socialite and fashion icon Parveen Dusanj Bedi ,Narendra Kumar Ahmed (Nari), Creative Head Amazon Fashion. The top finalists, this edition, were from IINIFD Pune, NIFT Mumbai, Pearl, GIFT Kolkata, WLCI College Kolkata, INIFD Chennai, Hamstech, Hyderabad & NID, Gandhinagar. At a glittering ceremony held in Mumbai today, Abhishek Tibrewal, Pearl, Delhi won the prestigious Liva Protégé 2017, Sonika Pulluru from Hamstech, Hyderabad and Dibyani Mishra, GIFT Kolkata were the 1st and 2nd runners respectively. Mr. Rajeev Gopal, Chief Marketing Office, Pulp and Fiber Business, Aditya Birla Group, “The third edition of Liva Protégé has had a record participation and has grown to become a much sought out competition in the short duration with fashion institutes and students. ”. 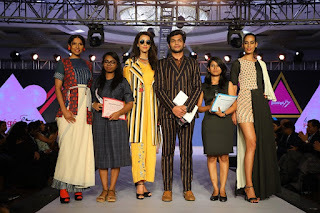 He informed, “This year’s highlight is our exclusive association with Amazon Fashion that will enable these designers to launch their winning Liva Protégé collections on Amazon.in, thereby giving them a unique opportunity to build and market their brands”. 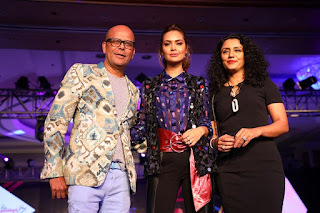 Commenting on the tie-up with Live Protégé, Arun Sirdeshmukh, Business – Head, Amazon Fashion said, “We remain strongly invested in creating the right infrastructure to help create, position and highlight designers/brands to Indian customers. By giving this exposure to the Liva Protégé 2017 winners, Amazon will not only allow them accelerate their career growth but also give them an opportunity to focus on their inherent talent and build national brands. 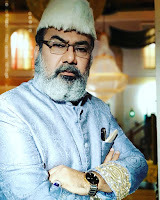 As part of The Designer Boutique at Amazon.in, we want to identify young designers and give them an opportunity to reach millions of our customers, and in turn help us democratize designer wear and make the segment more affordable in India”.